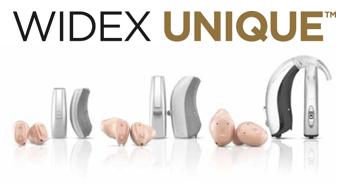 Interested in Hearing Aids From Widex? The model types are the same across all of the Unique technology levels, the 220 has the full sized traditional BTE, the Fashion. The smaller sized RIC the Fusion and the tiny and discreet Passion. The Unique in the ear models range from the full sized ITE down to the tiny micro CIC. 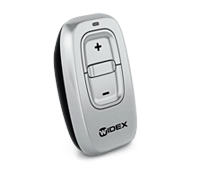 WIDEX UNIQUE 220 CIC-M : This is the smallest of the range, it is a non-wireless micro completely in canal device using a size 10 battery. 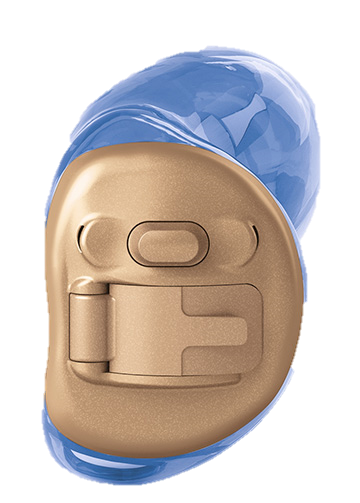 WIDEX UNIQUE 220 PASSION: The Passion has for many years been the smallest RIC hearing aid available. It is a wireless mini receiver-in-canal device which uses a Size 10 battery. The size does limit the device though, it has no telecoil or programme button. 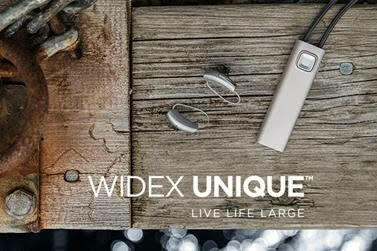 WIDEX UNIQUE 220 FUSION: The Fusion is a larger wireless receiver-in-canal device, it comes with a push button and telecoil and runs on a size 312 battery. The 220 is powered by the U-platform processing chip, Widex say that the chip is significantly better than the previous generation. The Unique 220 has just 6 channels and it only has three environments for the aid to choose from in it's Sound Class Technology. The three environments are speech in quiet, speech in noise and a comfort in noise setting. The aids can automatically detect and adapt in 3 different listening environments and focus on the most dominant speech signal detected in the environment. 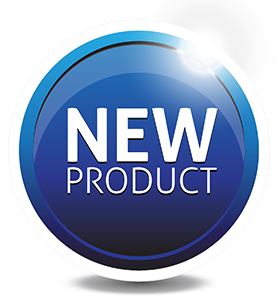 The noise reduction feature in the Unique 220 range is good enough for hearing speech clearly whilst suppressing background noises in up to moderately noisy environments. If you lead a particularly active lifestyle then you may want to go for one of the better models. As with the rest of the range, the Unique 220 aids have access to that wider dynamic range of sound, they amplify sounds as quiet as 5 dB so that you can pick up even very soft sounds. The Unique 220 also has the Zen programme so it can be used to help relieve tinnitus.